Our Men's pickup game is now playing at our indoor location. See location information here. 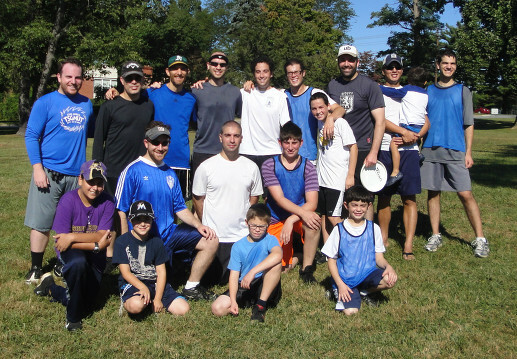 Pikesville Ultimate recently completed Spring 2018 boys & girls leagues (ages 8 -13) with the partnership of USA Ultimate and JCC of Greater Baltimore. Click here for a synopsis and pictures. Registration for 2019 leagues will be available in Feb 2019. Click here for registration. ﻿The skill level of our Sunday 9:00 AM pickup game members ranges from college competitors to complete beginner. The veteran players are happy t​o help someone work on their skills, whether it is rules of the game, throwing/catching mechanics, or Ultimate game strategies. But most importantly, to have fun!